Stamp a Blessing: Stampin' Savings Day! 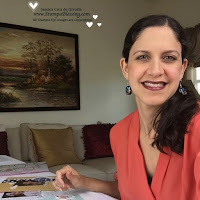 This special day is coming this Saturday and Stampin'Up! has great discounts for all of us. Click here for all the discounts and details! Click here for all the pretty papers available! Yes, the blendabilitties are coming back! For now only demonstrators are able to order them. You are welcome to join my team here any time and get these. I can't wait to start coloring. Will keep you posted!